You may have heard the term “superfood” over the past couple of years. Superfoods are exactly what they sound like. They’re foods that have that extra oomph to aid your body in its daily functions and make you feel…well, super. There are certain nutrients our body needs on the regular, but you can’t always depend on your “regular food” to give it to you. 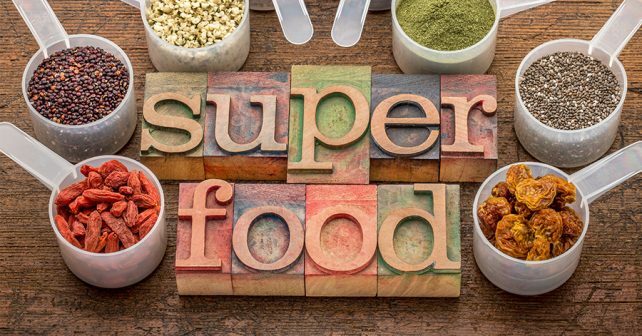 By incorporating these superfoods you can be sure you are keeping your body in super mode indefinitely. Spirulina is the king of the superfoods. It is a blue-green algae harvested in Hawaii. Not only is it detoxifying, but it is high in b vitamins, iron and is a good source of protein. Spirulina contains chlorophyll which aids in cleansing the blood. Add a tablespoon into your smoothie and reap the benefits of this shimmering blue seaweed. 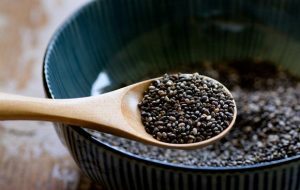 Chia seeds are a powerhouse of nutrition. They are incredibly cleansing for the digestive tract, are high in vitamin c and contain omega 3 fatty acids which is critical for brain health. Chia seeds expand when you put them in water. Put 2 tbsp of chia seeds in some almond or coconut milk with some sliced banana and let sit for a few hours. You are left with a jelly, pudding consistency that is actually quite enjoyable. Camu camu berries are the highest source of natural vitamin c in the world. Synthetic vitamin c such as ascorbic acid is very harsh on the digestive tract. Taking a teaspoon of camu camu berry every day in your smoothie will give your body the vitamin c it can actually recognize and absorb. Barley grass juice powder is derived from young barley seed. It’s chock full of vitamins and minerals including iron, magnesium, phosphorus and calcium. It balances the pH of the body which makes it a great immune booster and detoxifier. Add a spoonful to your smoothie and get those minerals in! You may have not heard very much about this one, but it is easily the most effective superfood out there. Phytoplankton is the most absorbable source of omega 3 for your body. Even more so than fish or cod liver oil. There is also trace minerals found in phytoplankton such as zinc that will push your energy levels to new heights. You can find phytoplankton at health food stores or online. Turmeric, also known as “Indian Saffron” is one of the most powerful spices on the planet. It is anti-inflammatory, lowers cholesterol, prevents cancer and aids in liver detox. 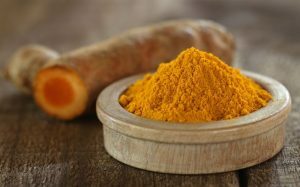 You can find turmeric in capsules or powder form. These babies are like broccoli on steroids. Broccoli sprouts contain 50 times the antioxidants as regular broccoli does. They may look small but they are mighty! You can grow your own broccoli sprouts at home or buy it in powder form.